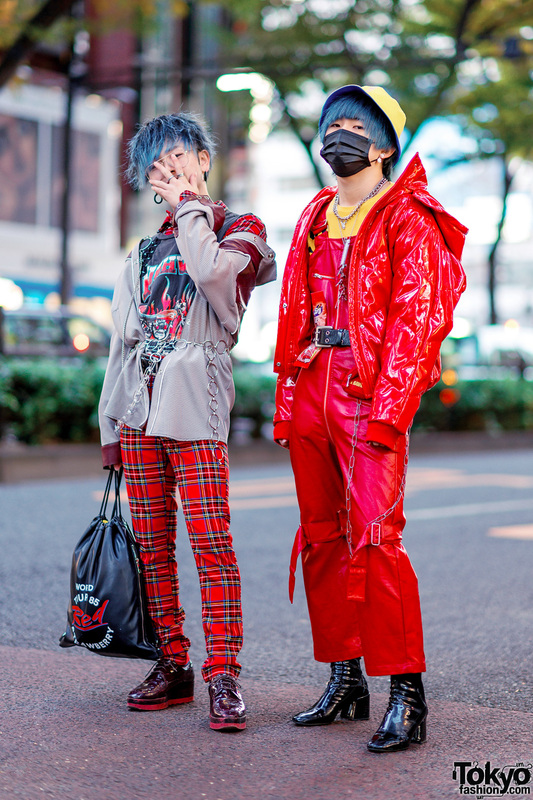 Harajuku guys in neo street styles with berets, kanji print mufflers, jacket and oversized graphic shirt, platform boots, and harness phone case. 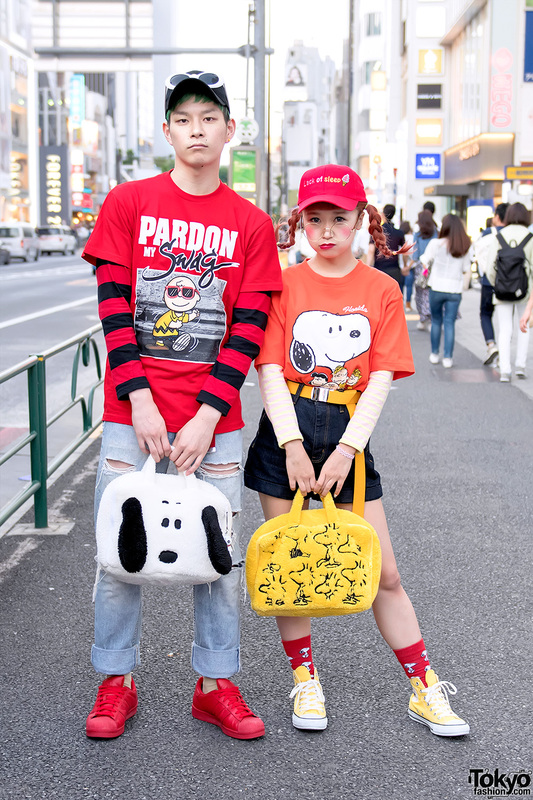 Harajuku guy in black hat, bomber jacket, printed sweatshirt, ripped jeans and sneakers vs. Harajuku girl in hat & braided hair, cardigan over turtleneck, plaid skirt and heeled ankle boots. 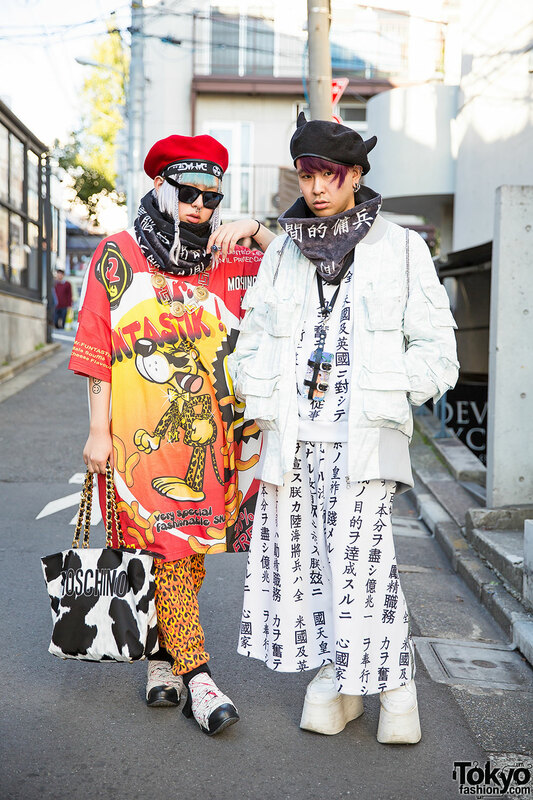 Harajuku guy with a horns beret and alien choker wearing fashion from KTZ, GIZA, Liv-Berty and YRU. 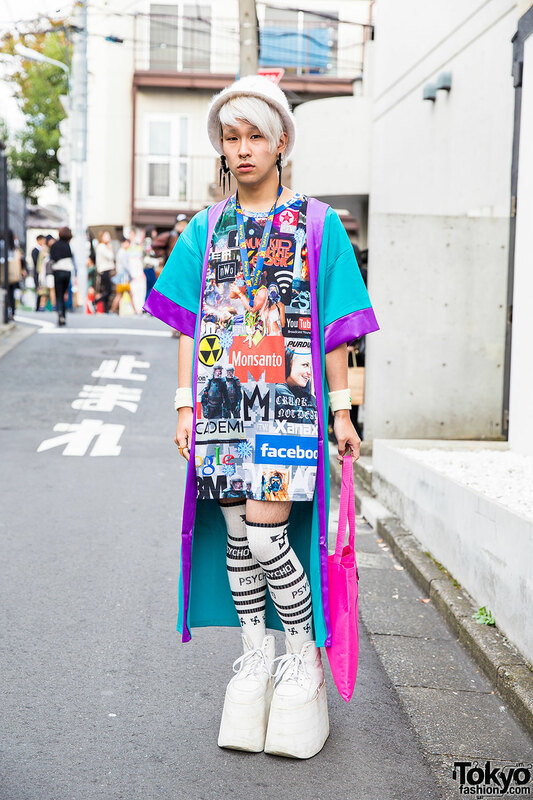 Harajuku guy with white hair and bucket hat wearing an oversized top with striped socks, overcoat, tote bag and tall platforms. 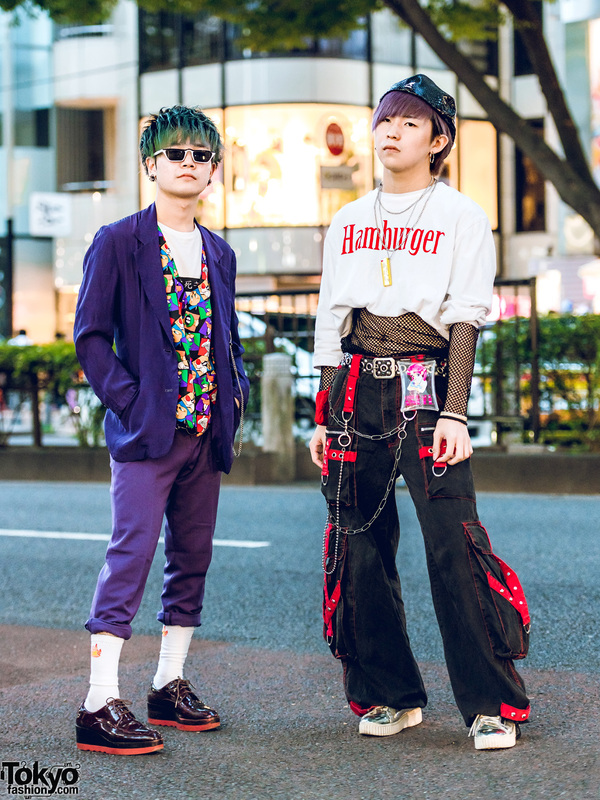 Harajuku guy with white hair and hat wearing a sweatshirt, Mercedes Benz necklace, ripped jeans and flatforms vs. guy with long pink braids and hat, colorful sweatshirt, shorts over fishnet stockings and flatforms. 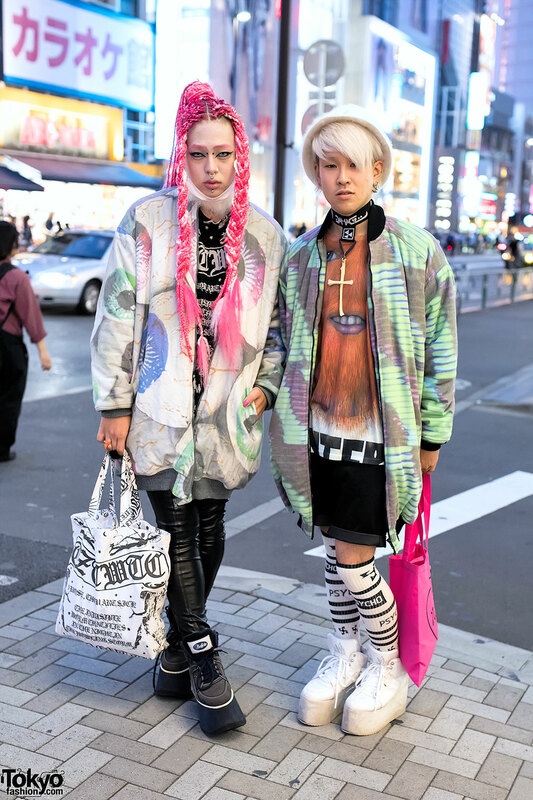 Pink-haired Harajuku guy wearing a W.I.A Collections bomber, KTZ top & Buffalo platforms with a friend in W.I.A, OS Accessories, YRU & Nikki Lipstick.